So, I went a bit nuts lately and bought a bunch of shoes from ModCloth.com. Originally there was just one pair I was going to buy, but then I found another, and another, and pretty soon, I'd purchased four pair of shoes!! Granted I could've bought TONS more, but I held back. Just a little. This first pair is just a simple pair of black suede, open-sided, pointy-toed flats by Breckelle's which will be perfect for work. In fact, I've already worn these once, and they were quite comfortable and looked great with my black cigarette pants and peplum top! If you've shopped ModCloth before you know they give their items cute, fun, quirky names. These shoes are called Navigating the Neighbourhood. The next pair of shoes are from Jeffrey Campbell (so it says on the inside of the shoe) but came in this super girly decorated box. Even the inside of the box was decorated with little smiling, prancing unicorns as well as a letter from Chloe. I'm not sure who Chloe is, or if she works for Jeffrey Campbell, but who cares, whatever, check out the shoes: THEY LOOK LIKE PENCILS!!! Sorry to be all shouty, but OMG, totes adorbs! They're even called Pencil Me In! Next is a pair of black flats with Sugar Skulls which will be perfect for Halloween, but I plan to wear them periodically even afterwards. (Maybe. Perhaps I'll store them and just wear them once or twice a year like I do my Christmas shoes! More room in my closet for another pair of shoes!!) These are from T.U.K. and are called Skull Pride. I wore these to work once already as well, and they were quite comfy and looked super cute with a maxi skirt! And here they are all in a row! Just for reference, all the shoes are a size 10 regular. I can sometimes get away with a 9.5 if it's a wide width, but a) most of these didn't come in half sizes, and b) I didn't want to buy two pair of the same shoe to try on and then have to send one back. The box was already ginormous! I hope you enjoyed my shoe haul, and I hope you'll visit ModCloth.com yourself to hunt down some fun, funky, unique items for yourself! Stay tuned for a new Ulta haul coming soon! Cheers! Last month during the Central Coast Writer's Conference I picked up a couple books by Anne Perry (our keynote speaker): The Cater Street Hangman - the first Charlotte and Thomas Pitt novel - and The Face of a Stranger - the first William Monk novel. I've never really been a fan of mysteries, but I've really enjoyed these two books, and might consider trying another mystery book or series in the future. The wretched policeman returned the following day, questioning Maddock first, then Caroline, then finally asking if he could see Charlotte again. "Why?" Charlotte was tired and this morning the deep unhappiness of hear and the reality of death had settled upon her. The blindness of the first shock had passed. She had gone to sleep on tragedy, and wakened to find it still with her. Monk accepted and questioned her gently, not because he expected to learn a great deal from her directly, but because indirectly he watched her, listening to the intonations of her voice, and the fingers turning in her lap. Slowly he discovered a picture of Joscelin Grey. Have a great Tuesday! Cheers! It's with great, and ginormous apologies that I admit I had another bad blogging week! I didn't even get my Teaser Tuesday done, and I've now got TWO great Anne Perry novels to tease. I'll get right on that. Yeah. Anyway, here's five random thingies for this week. Enjoy! 1. Today is October 24th. Just one week from Halloween, and the time change. It's autumn. The leaves are changing, the air is crisp in the morning (but it's still hot in the afternoon, go figure! ), and guess what I get to do this weekend? Mow my lawn. Yeah. My lawn is still growing enough to where I have to mow it every other week or so. Gah! Wouldn't be so bad, but it's too dark to do it at night after work, so I have to spend precious weekend time to do it. Boo. 2. Last weekend I took photos of my super awesome, newly purchased shoes for a shoe unboxing post, and just haven't got around to posting it yet, but I promise, I SWEAR, I will get around to it. Very soon. Because seriously, I bought some super cute shoes! 3. Recently I was contacted by style website Rue La La to do a What's in My Bag post, which I know I just did not that long ago, but it's fall now, and I'll be switching out my bag(s), so I think I will write up a really great, interesting, and fun post about what I have in my purse(s)/handbag(s)/tote(s). Coming soon! 4. Next month I'll be redoing my bedroom over the Thanksgiving weekend, and I now have my wall colours down to eight. Not bad considering I had something in the neighbourhood of 12 to start with! I've been taking stuff down, patching holes, and trying to decide what will be coming back, and what will not. It's hard, but I have found some pretty cool stuff recently, so I think it might be time to switch out! 5. And, finally, the tap dancing class I'm taking on Wednesdays is going really well, even though I'm not at all good at it. It's still a lot fun, as well as a great work out! The instructor is really nice and talented, no one is snotty or judgmental, and there are all levels of ability, so I don't feel too bad about sucking at it! 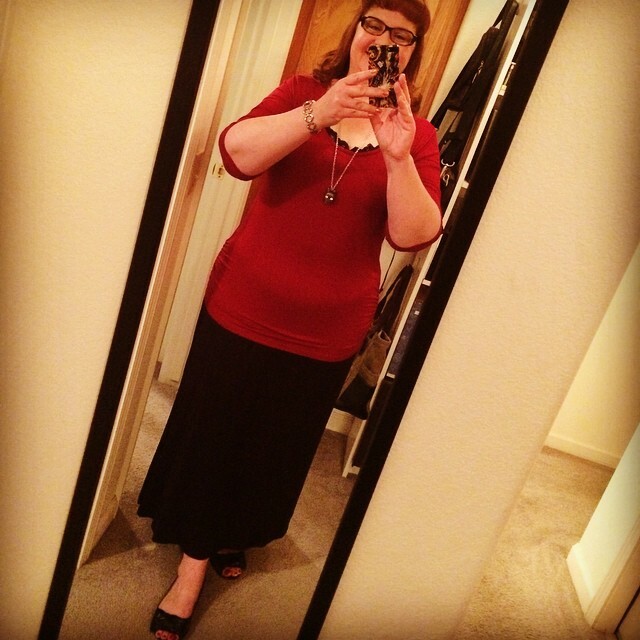 #OOTD: @igigistyle Delray maxi skirt in black & Mindy top in chili red. 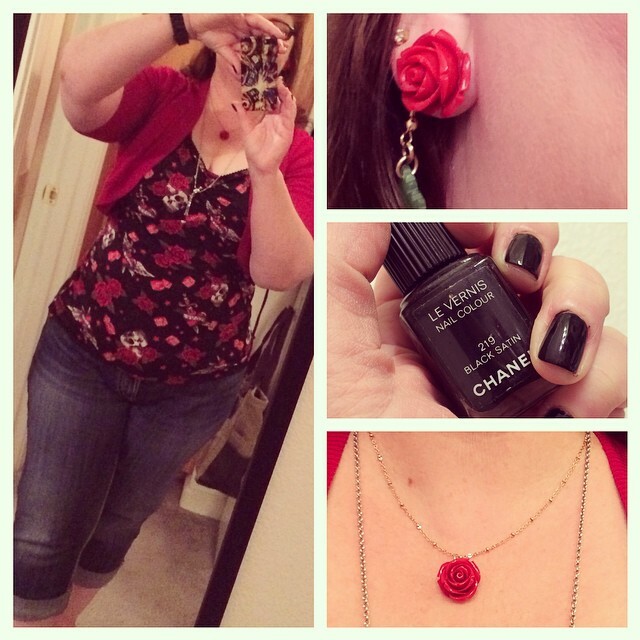 #plussize #fashion Also a cute skull necklace from Torrid, and Blowfish open-toe shoes to show off my fresh pedi with OPI's Big Apple Red. Cheers! 1. So, after cleaning out my closet recently (which in itself, took some time! ), I found a LOT of stuff to put for sale on eBay. That requires photographing the item, writing up a description, and in some cases doing measurements (skirt and pant lengths, sleeve lengths, waist widths, etc. ), which admittedly I slacked on this past weekend, because there was SO much to put on, and it was literally taking HOURS, and I just wanted to watch FOOTBALL, DAMMIT. Over the past three weekends, I've added 23 items, and ended up selling 13, which is super exciting, but is also a lot of work: I have to pack the sold item (which sometimes requires running to Staples to buy a box and packing tape), print out the packing slip and shipping label, and run it to the post office, and depending on how big the box is, I might have to wait till Saturday when it's actually open. Phew! Anyway, I think I'm done putting stuff on eBay except for some old carousel horses, but I believe I already have photos and write-ups from the last time I had them online. 2. I went a bit nuts shopping on line the past few weeks as well, so there was a lot of time spent opening boxes, trying stuff on, and packing up and returning the stuff that didn't fit, or just didn't look as good IRL as it did online. (Sadly there was a LOT more of the latter, which makes me kinda cranky!) I'm planning to do a blog post with all the fun new outfits I've purchased recently, but with the exception of a bunch of shoes I just received recently, I already tossed the boxes the stuff came in (or used them to send the unwanted, not-as-nice-as-it-looked-on-the-website stuff back), so it won't be a true "unboxing" post, just a "here's what I bought" post. 5. And finally there's been a lot of yard work going on - lawn mowing and trimming, leaf raking and blowing, and adding rocks to the top of our dry creek bed in the hopes of preventing too many leaves and too much dirt getting in the creek and clogging the drain - and this weekend is no exception. We're planning to cut back the bunch grasses and trim the rosemary in preparation for what we hope will be a very wet winter! TGIF + 3-Day Weekend = AWESOME! Boy howdy, am I glad it's Friday! This week went by lightning fast, and I'm happy to say it wasn't horrible, but, still, Friday is always a darn good day! Here are five random things about this past week. Enjoy! 1. I saw Gone Girl last night and must say I thought it was really, really good! I read the book, I think last year, so I honestly don't remember it too well, but I think the movie followed the book pretty closely to what I remember. Also, I saw it in the VIP theater where one can imbibe a nice glass of wine to go with the popcorn - J. Dusi Pinot Grigio, for those who wonder and care - so that upped the enjoyment factor. 2. The tap dancing class I'm taking was cancelled this week because apparently we wrecked the floor last week! Yikes! While the cancellation was disappointing, what's worse is that Ashleigh sent out an email Tuesday alerting everyone to the cancellation, but since I don't read my emails but two or three times a week, I didn't get it. And showed up. D'oh! Also annoying about that is that if I'd been reading my emails, I would've known soon enough that I could've contacted my trainer and worked out at Kennedy on Wednesday! (That's our usual day, but since I'm taking tap, I'm not going to Kennedy right now.) The moral of this story, I guess, is that I need to start checking my emails every day! 3. It's been a couple days since we've seen any ants in the kitchen, so hopefully, fingers crossed, I'll be able to do some cooking this weekend! We've been doing a lot of take-out, deli, and microwave-in-the-bag stuff with salads, and I'm ready for something fresh! Unfortunately my favourite cooking magazine, Clean Eating, has, of late, been filled with a lot of difficult recipes, and I've only found one maybe two per issue that I could even consider trying. So many of the recipes have odd ingredients that I can't even find at Von's, let alone the Grocery Outlet, or they feature really expensive ingredients like steak and lobster. I may go back and check out some older issues, or just go with one of my all-time fave cookbooks, Eating for Life by Bill Phillips. Those recipes are pretty straightforward, and have easy-to-find and usually inexpensive ingredients. 4. I just realized I've completely forgotten I was participating in FMS' Photo a Day this month! I'm WAY behind, but hope to catch up this weekend! 5. Finally, I'm very excited that Monday is a holiday, and I have the day off work. Especially since today was NUTS! I'll probably need to do some work at home rather than go play somewhere (OMG, Cambria, I miiiisssss you! ), but still, whatever it is, I can do it in comfy clothes, no make-up, and my hair up in a bun! Oh, hello, October, where did YOU come from?!? 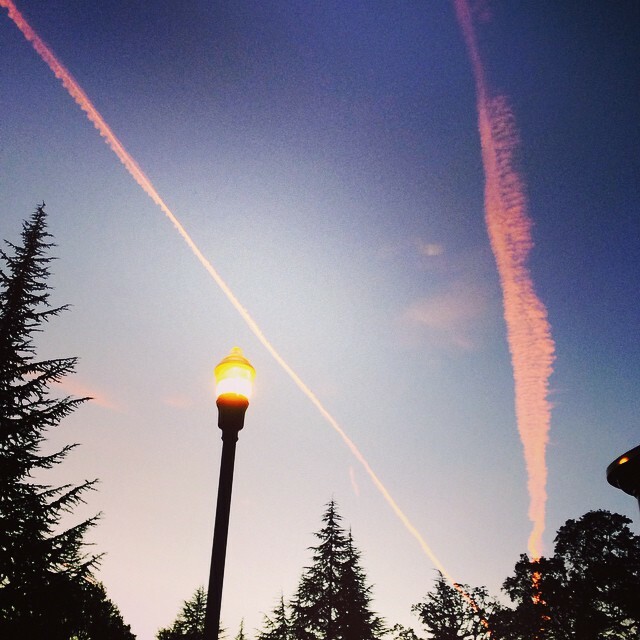 Inspiration: The Central Coast Writers' Conference! Awesome as always, I'm SO glad I talked myself into attending (I almost didn't go this year!)! Our Keynote speaker, Anne Perry, couldn't make it in person, but through the power of modern technology, she was able to be with us over Skype! I took her Backstory class, and got some great tips I'm looking forward to including in my novel. I also took a class on world building and poetry writing, both of which I believe will come in handy as well! Vacation: My mom and I used the Writers' Conference as an excuse to spend a long weekend in Morro Bay. Although we'd just been there in May, it was still fun and relaxing, and we basically spent a lot of time just sitting on the balcony drinking coffee and tea and enjoying the view of Morro Rock. As usual we stayed at the La Serena Inn, because they give me a great deal for attending the conference, and it was really nice despite the cable being wonky (I think the remote was broke! ), and the pilot light having to be on in the gas fireplace all the time, which I believe would cause seizures in sensitive folks with the little flickering light bouncing off the ceiling all night. Gah! Anyway, instead of browsing the shops on the Embarcadero (as we'd just done that in May), we wandered around the antique malls, thrift shops, and used book stores in the downtown area. It was great fun because I didn't even know these stores existed! This one little bead shop? Had a delightful secret garden in the back! There are things I may be going back for! Cosmetics: So, I started using the Josie Maran Black Oil Argan Oil mascara I bought at Sephora a while ago, and quite like it. I have to top it with Bare Minerals' Locked and Coated waterproof top coat, because it's not waterproof on its own, but so far that hasn't affected the performance. I tried to take some pictures, but can't really get close enough to show how the mascara looks on my lashes without showing off my horrible dark circles and wrinkes around my eyes, so, sorry 'bout that! I also started using Origins Gin-Zing eye cream and face cream, and while I'm not sure they're doing exactly what they advertised (brightening and de-puffing), I do like the smell, they feel good on my skin, and they're certainly not doing any damage! Fragrance: Despite purchasing a new fragrance not too long ago, I ended up using Geurlian's Le Petite Robe Noir (Little Black Dress) most of September. Something about it being dark when I get up in the morning, and the black-to-dusty-purple-to-pink on the bottle just kinda felt right together, I guess. Also, it smells nice, and tends to last a long time. Also: Ulta Beauty opened in the Target Shopping Center in Paso!!! Yay!! Books: I read the most delightful middle grade book in September: The Riverman by Aaron Starmer . I really loved The Other Ones, his previous book, and am looking forward to reading The Whisper (The Riverman book 2) when it's released next March 17th. Also, I started my first ever Anne Perry book, The Cantor Street Hangman, and I'm loving it! She's truly an amazing writer! TV: With the start of the new TV season, I've found a few new shows that I'm loving so far including Forever, Gotham, Z Nation, and Selfie. Also, I'm enjoying the return of Marvel Agents of Sheild and Sleepy Hollow, and might actually watch Survivor and The Amazing Race this season since it appears neither of those shows are including any hideous Big Brother contestants or returning players. 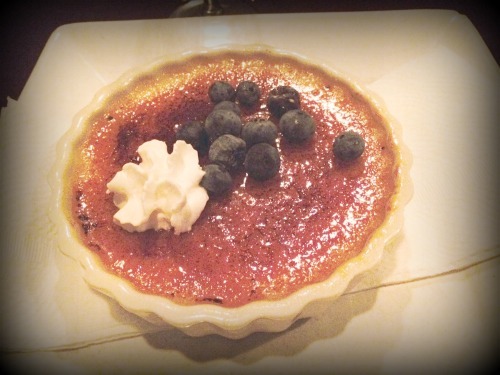 Food: My favourite thing foodie-wise this month was the delicious creme brulee I had at Dorn's restraunt in Morro Bay. SO amazing and decedent! Well, that's really about it. I'm going to try to keep better track of my faves in October, so stay tuned for what I hope will be an awesome post about some of my favourite things!